Health Choice Chiropractic, an individual and family health and lifetim wellness care facility. We strive to be the best, healthcare wellness provider by correcting vertebral subluxations (nerve pressure) thus providing the nervous system with the ability to function optimally, and to help our patients achieve their fullest health and wellness potential. Dr. Ray Kaminski, Member of the I.C.A. Council on Fitness and Sports Health Science. Chiropractic Clinton Township Chiropractor Dr. Ray Kaminski Chiropractic Physician with over 25 years in practice, your Clinton Township Chiropractor also serving the surrounding area including Harrison Twp., Macomb, Shelby Township, Sterling Heights, Utica and Mount Clemens MI, in Macomb County, Michigan. Clinton Township Chiropractor Ray Kaminski, D.C., at Health Choice Chiropractic is one of the best Chiropractors in Macomb, Shelby, Clinton Township area specializing in chiropractic wellness care. Dr. Ray Kaminski, D.C. is a Chiropractor committed to correcting the underlying cause of your condition by reducing and correcting vertebral subluxation (misalign spinal vertebra), nerve pressure, pinch nerve and providing pain relief for many symptoms and conditions. Dr. Ray Kaminski, Chiropractic Physician, Top Chiropractor in Clinton Township Michigan as chosen by their peers Hour Detroit Magazine with over 25 years experience. Experience counts, don't just take our word for it though; click on the mene above and visit our PATIENT SUCCESS STORIES to see what our patients have to say. At our Clinton Township Chiropractic office, clinic you will receive the best Chiropractic Care in Macomb, Harrison, Shelby, Clinton Township, Macomb County MI through the use of modern chiropractic techniques and technology. Dr. Ray Kaminski, D.C. a Clinton, Macomb, Shelby Township Chiropractor of Health Choice Chiropractic has a genuine concern for your well-being and health! CALL TODAY: 586-286-1100 and we can develop a chiropractic plan specific for you and your family. If you are new to our website, please browse around to learn about our practice Health Choice Chiropractic Center, Clinton Township Chiropractic serving Harrison, Clinton, Shelby, Macomb Township Chiropractor, Dr. Ray Kaminski Chiropractic Doctor and staff and discover the wonders of chiropractic and lifetime wellness care. Click on the "email us" link below to ask us a question or to send us feedback. Use the "send to friend" link to share our health information with your family and friends so that you can begin a journey to wellness together! "Chiropractic Benefits Everyone". To receive free wellness and health articles; subscribe to our bi-weekly newsletter. If you are already a newsletter subscriber, please explore the member wellness section of our website for animated exercise videos, wellness articles, chiropractic resources, and health facts specifically targeted to your wellness needs and interests by Dr. Ray Kaminski, D.C., your Macomb, Harrison, Shelby, Clinton Township Chiropractor. In Clinton Twp. Michigan, Macomb County Dr. Ray Kaminski Chiropractic Physician a professional, specializing in Chiropractic Care with over 25 years experience has helped many thousands of patients with many different conditions. Many patients choose Clinton Township MI Chiropractor Chiropractic Service as first portal entry or use this servic when medical treatment doesn't help them. 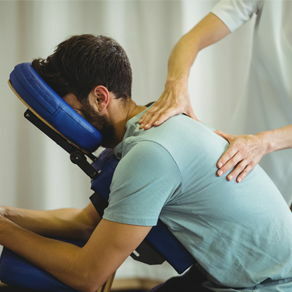 Back pain relief, neck pain relief, low back pain relief, lower back pain, middle back pain relief, back pain relief, upper back pain relief, headache pain relief, arm pain relief, leg pain relief, sciatica pain relief, sprain, strain, muscle spasm, spine pain, muscle pain, protruding disc, sciatica, migraines, shoulder pain, your headaches, pinch nerve, headache pain relief, fibromyalgia pain, joint pain, hip pain problems, tingling and numbness, arthritis pain, dizziness, arthritis relief, Subluxation Correction, spinal misalignment. We may help; your symptoms may be cause or contributed by a Vertebral Subluxation (spinal misalignment, nerve irritation, nerv pressure). Chiropractic Physician Doctor Ray, Chiropractor Clinton Township Chiropractic Specialist. Doctor Ray is highly rated skilled to remove and/or reduces Spinal Subluxation (nerve interference, impingement) in your spine. We specialize in spinal correction and the reduction of Vertebral Subluxations largely of the spine. Chiropractics may help relieve your pain. CLICK HERE AND CALL 586-286-1100 TODAY FOR YOUR COMPLIMENTARY CONSULTATION. Dr. Ray Chiropractic Physician of Health Choice Chiropractic Clinic graduated from chiropractic college, obtained his Doctor of Chiropractic degree, studied courses in spinal adjustment of the Subluxation Vertebra (misalign bone), Doc Ray Specialist has studied in the basic sciences including biology, physics, histology, radiology, chiropractic philosophy, pathology, biochemistry, chemistry, anatomy, physiology, pediatrics, geriatrics, physical therapy, massage, and nutrition. Dr. Ray Kaminski, Chiropractor Specialist a Macomb County Chiropractors started his practice in Detroit Michigan. Doc Ray Chiropractic Doctor and Specialist has over 25 years experience serving individual and family practice, the family chiropractor has helped many families from the Detroit Fire Department, Detroit Police Department, Michigan Sheriff and Deputies and other law enforcement agencies, city workers and the community. Dr. Ray now practices Individual and Family Chiropractic Wellness Car at Health Choice Chiropractic Center in Clinton Township Michigan, 43297 Garfield Road in Macomb County MI 48038 in the metro Detroit area. 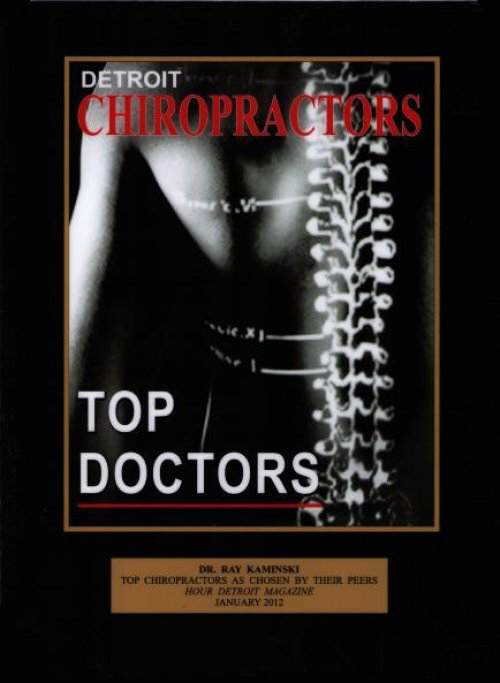 DR. RAY KAMINSKI TOP CHIROPRACTORS AS CHOSEN BY THEIR PEERS: HOUR DETROIT MAGAZINE JANUARY 2012. The Family Chiropractor Doctor and Individual Health and Lifetime Wellness Care, Doctor Ray states "we strive to be one of the Best Doctors and Top Doctors of Chiropractic in helping infants, children, kids, adult, senior, geriatric patients, auto accidents, slip and fall injuries, car accidents including fender bender, whiplash, no fault accidents, workers compensation, sport injuries, strains, sprains, muscle spasm, muscle strain, ligament sprain, taunt and tender painful muscle fibers. What is Chiropractic? Chiropractics? A Chiropractic Physician is a Specialist who locates and detects Vertebral Subluxation (misalignments, pinch nerves) of the spine and reduces the Subluxation to relieve nerve pressure to help balance the nervous system and restor function. 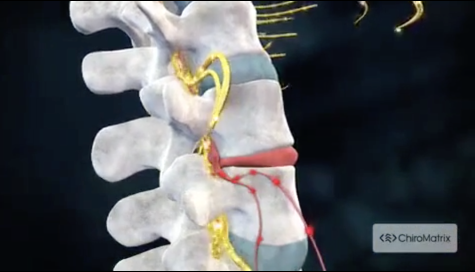 Chiropractors deal with the spin and its relationship to the nervous system. What is a Chiropractor?, one who practices Chiropractic and locates and corrects vertebral subluxations. We accept most insurance policies, including Hanover Insurance Group; we are providers in many insurance net works including Blue Cross Blue Shield PPO, BCBS Blue Preferred and BCBS Trust. We accept Medicaid, Aetna, Aetna Medicare SM Plan (PPO), McLaren Health Advantage Plan (McLaren Macomb), Auto No Fault, and Workers Compensation and hundreds more. Call our office at 586-286-1100 for a free consultation. Doc Ray states: Doctor Ray's Clinic, is the dedicated to providing the utmost Chiropractic Car at Health Choice Chiropractic Clinic, Macomb County Michigan 48038. Call today for chiro care and your COMPLIMENTARY CONSULTATION at 586-286-1100 and share with your family and friends our website DrRayChiro.com. Doc Ray Kaminski Doctor of Chiropractic one of the Best Chiropractic Doctor in Clinton Township MI, initially practiced in Detroit Michigan now serving Macomb Township, Harrison Township, Shelby Twp., (Mt.) Mount Clemens, Utica MI, and Sterling Heights, Utica, New Baltimore, also accepting patients from Marine City, Chesterfield, New Haven, Waldeburg, Lenox, Armada, Richmond, New Haven, Meade, Ray Township and Macomb County Michigan, your Macomb County Chiropractic Specialist and Michigan Chiropractor, Clinton Township Chiropractic. We also have the state of the art in< Computerize Digital X-ray Scanner (no x-ray films needed) and the EMG Insight Subluxation Station (measures muscle tension) to further characterize your condition. We are providers to many of the Blue Cross Blue Shield BCBS PPOm BCBS Trust insurance plans, and also participate with McLaren HealthAdvantage Plan (Macomb McLaren), Medicare, No Fault, Auto Accident, Workers Compensation Plans. We accept Obama Care Plan, Affordable Care Act., Affordable Care Plan. Spinal Subluxations to relieve the nerve pressure to improve your health. Call The Spine Center for Chiropractic Car Doc Ray Kaminski at Health Choice Chiropractic on Garfield Rd. Clinton Township Michigan 48038 for a COMPLIMENRARY CONSULTATION CALL 586-286-1100 TODAY. The information of other businesses listed does not necessarily represent the views of Health Choice Chiropractic, they are largely for location purposes. "THe staff and treatment are very professional. Great experience."